The OC is one of the world’s most streamlined, lightweight and ergonomic family of portable label and receipt printers. Designed especially for those labeling and transaction applications where ergonomic considerations, ultimate portability and smart looks are paramount, the OC is ideal to meet the continually expanding requirements associated with retail, healthcare, hospitality, transportation and field mobileservice applications. These advanced features, standard with any OC printer, offer extreme adaptability to meet the unique and industry-specific portable printing requirements demanded in today’s evolving business environment. Simple charging solutions and drop-in media loading allow entry level associates to use the printer with no downtime. The OC is compatible with a wide selection of media, including labels, hang tags, shelf tags and receipt paper. The OC is available in 0.05 mm (2 in) and 0.08 mm (3 in) widths and offers an optional magnetic stripe card reader. For wireless communication, the OC can be purchased with 802.11b/g or Bluetooth® connectivity and offers a broad range of security and encryption protocols that are compatible with today’s high-tech security requirements. Advanced 32-bit RISC processor architecture for light-speed processing and fast printing. LED lights indicate Bluetooth®, charging and power status. The external DC jack allows for easy charging. Supports a wide variety of hand-held computers from leading manufacturers. The battery is included in the purchase price. When it’s time to replace the battery, the OC printers use economical replacement batteries. 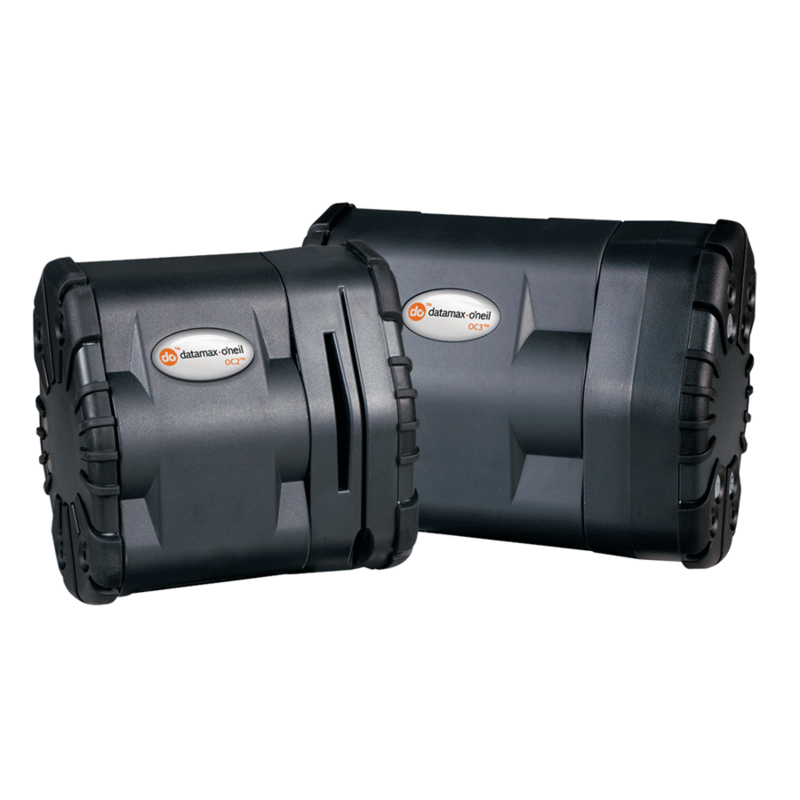 Options include receipt or label printing capability and Bluetooth® or 802.11b/g connectivity. the most recent list of agency approvals.